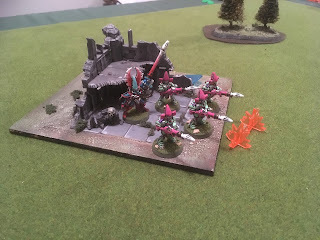 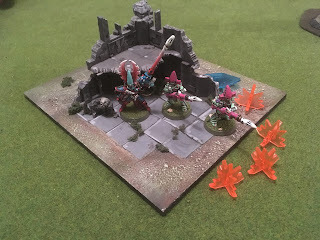 A week earlier Adrian and I played another Firefight game (the Mantic sci fi rules system). 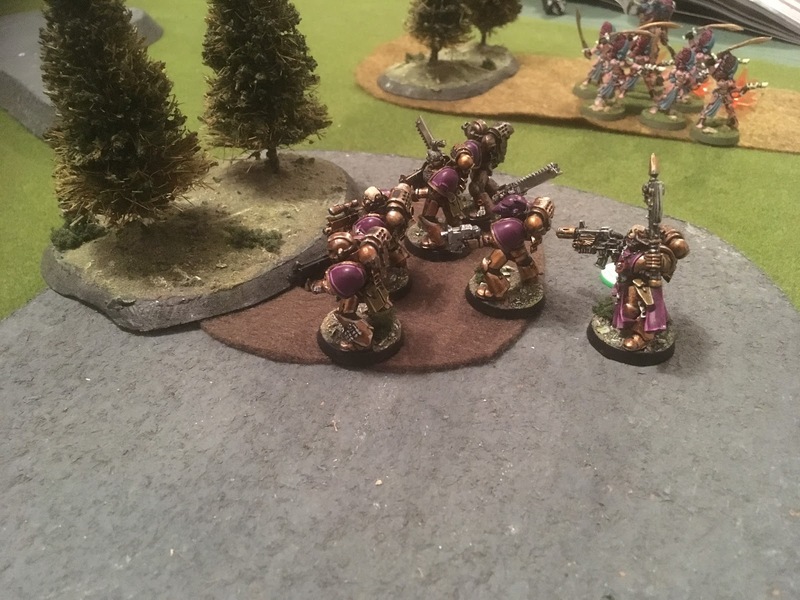 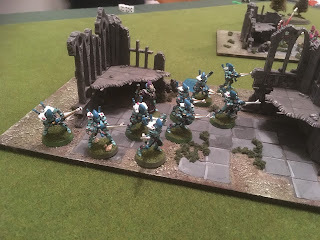 We played a small 1000 point game with my GCPS (GW Imperial Guard figures) versus Adrian's Asterians (GW Eldar figures). 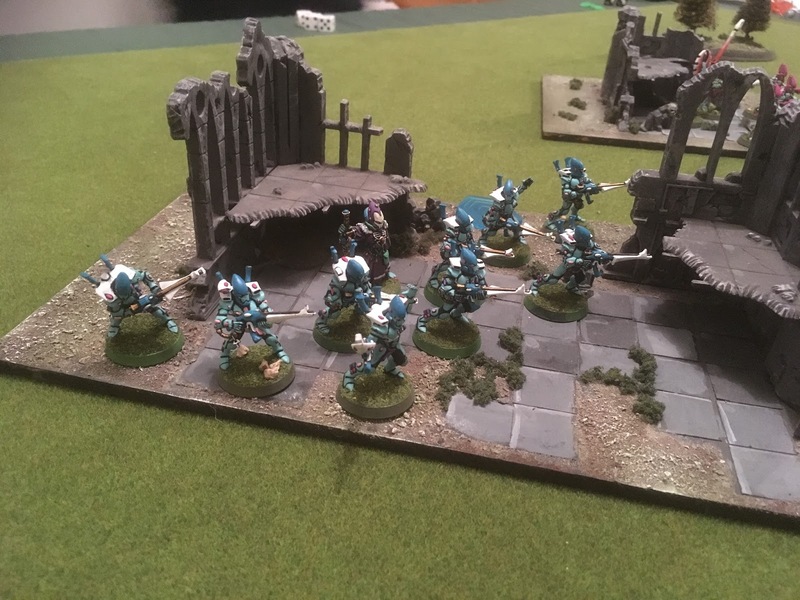 At 1000 points the game is almost too small to create the best feel with the activation system we felt, but the purpose was to build familiarity with the system. 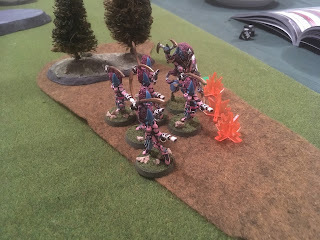 Again, not full AAR, just some photos that give a little of the look and feel of the game. 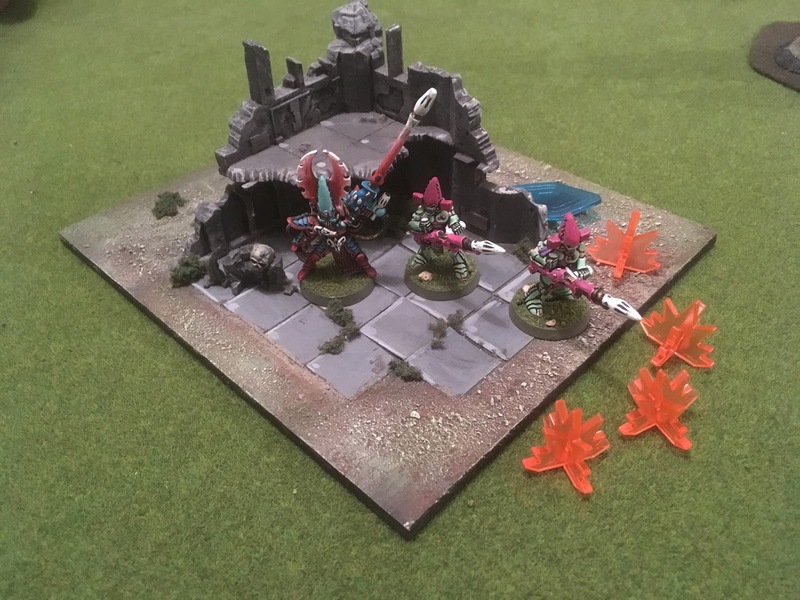 We'll be persisting with the rules, and looking soon at the warpath version.